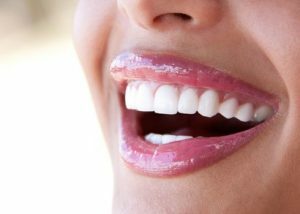 Searching for dental implants in Mission Viejo? Patients who are suffering from missing teeth complain about not only reduced self-confidence, but a reduced quality of life. Missing teeth prevent people from being able to smile with confidence, and can make chewing uncomfortable, or even painful. Even worse, a gap in your smile can lead to periodontal disease, or adjacent teeth becoming crooked as they slide into the empty space. If you are bothered by the way your smile looks or experience difficulty eating and chewing because of one or more missing teeth, dental implants are a viable solution. As an experienced implant dentist, Dr. Robert Milner has helped hundreds of Mission Viejo patients regain their ability to smile, eat and speak with dental implants. Read on to learn whether dental implants can restore the function and look of your teeth. Dental implants are placed in your jaw and feel and function like normal teeth. A dental implant consists of three parts: a titanium post that is surgically embedded into the jawbone, an artificial tooth (a crown, bridge or other restoration depending on your needs) and an abutment that connects the two together. Made of durable, high-quality materials, dental implants are the most long-lasting way to replace missing teeth. A dental implant is placed over the course of two visits to our Mission Viejo office. During the first visit, Dr. Milner will place you under local anesthesia. He will then surgically place the titanium post into your jawbone. Next, he will place a temporary crown over the post. Before placing your permanent crown, your implants must heal. Depending on several factors, including your dental health and the amount of teeth being replaced, it may take three to six months for the implant to heal. Once the implant is healed, you will return to our dental office where Dr. Milner will place the artificial tooth or teeth. Before bonding the tooth or teeth with the surrounding teeth, the dentist will check your bite and make last-minute adjustments to the restoration to make sure it’s the perfect fit and feel. Following dental implant surgery, you may experience a bit of swelling, bruising on the gums and bleeding or discomfort around the implant. This is only temporary and should dissipate after two to three days after surgery. To minimize discomfort, Dr. Milner can prescribe pain medication. For five to seven days after surgery, you will only be able to eat soft foods. Most patients are able to return to their regular routine on the second or third day after surgery. Dental implants have the potential to last many years, but good oral hygiene is crucial. Not brushing and flossing properly is a leading cause of implant failure. Smoking is also attributed to high failure rates with dental implants and should be avoided following surgery. For suitable candidates dental implants are a proven safe solution for replacing teeth, but every type of surgery carries with it some risk. Possible outcomes include infection at the implant site, potential injury to the surrounding structures such as teeth, or nerve damage. Dr. Milner is well-experienced with implant dentistry, but it’s important to outline the very unlikely risks associated with this procedure. With proper care and regular dental checkups, dental implants can last for many years. A study of dental implant durability over the course of 17 years showed that 93% didn’t require replacement. How Much Will My Implants Cost? The cost of dental implants varies depending on several factors, including the number of dental implants needed. A recent study showed that the average cost of a dental implant ranges from $1,000 to $3,000. Another factor for dental implants is that not all insurance companies cover them. 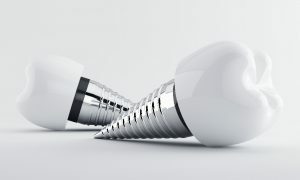 If your insurance plan doesn’t cover implants, don’t worry, our office provides financing options. Contact us today to learn about them. With Dr. Milner, you can expect safe and natural-looking implant results. If you have experienced tooth loss and are looking for a long-lasting solution, contact our Mission Viejo dental practice today. To schedule an appointment please call 949-859-8899.